Proudly serving Aurora, Newmarket and the surrounding communities, Bayview North Optometry welcomes new patients of all ages. You may schedule an appointment for your eye care by giving us a call or by sending us an email using the convenient form found on this page. Our clinic is open Monday through Saturday with same-day emergency appointments available upon request. We look forward to hearing from you! Dr. Kar Sakhichand earned his Doctor of Optometry degree in 1995 at the University of Waterloo, School of Optometry and Vision Science. 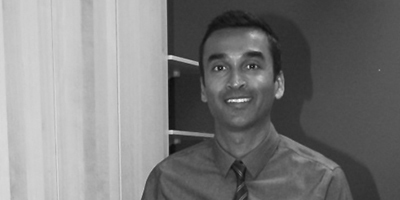 With over 20 years of experience, Dr. Sakhichand’s career and experience have encompassed many facets of optometry, but he is most proud to have provided comprehensive eye care to families in Newmarket and surrounding communities since 2003. In his spare time, he enjoys reading and listening to music.